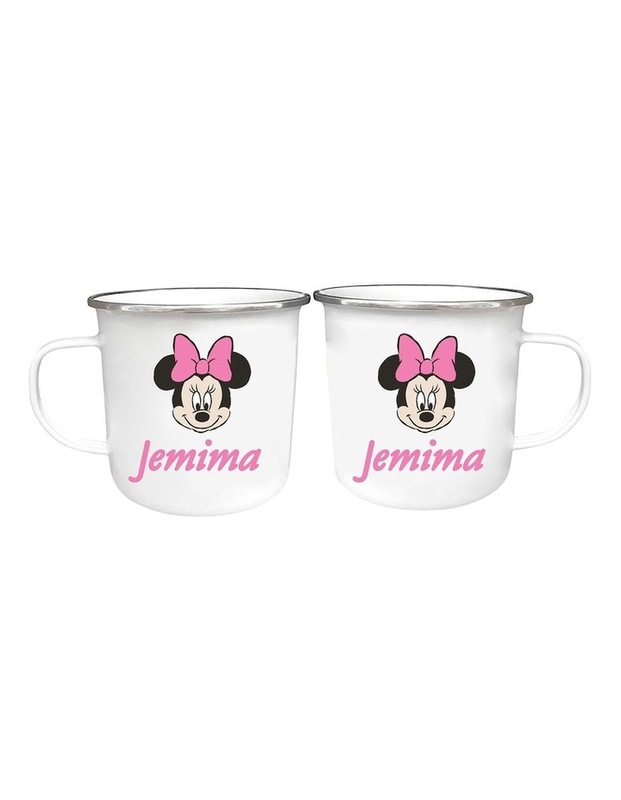 Never leave your personalised enamel mug for that outdoor setting or when going camping while celebrating Christmas and Mickey's 90th Birthday. Measures 8cm H x 8.5cm Diameter. Dishwasher safe warm wash only in dishwasher. Personalise with any name with up to 12 characters including spaces.